Ben is a frustrated freelance designer working from home. Anna is an Uber driver with a failed book deal. Together they watch their friends’ lives move on as their very own seem stuck in time, especially after Anna’s miscarriage, which left them far more than just grief. The band’s name is a reference to one of their main contentions: a sink full of dirty dishes. Ben seems apathetic to the mess in the sink, while it drives Anna crazy. The dirty dishes are not only a metaphor for the couple’s issues, but are also the way they both approach and deal with their problems. While Ben seems to build up his emotions, Anna’s are very clear. Singing about these “dirty dishes” allows the couple to externalize their emotions, tuning them into the same frequency; a frequency not often reached in their music-less everyday routine. 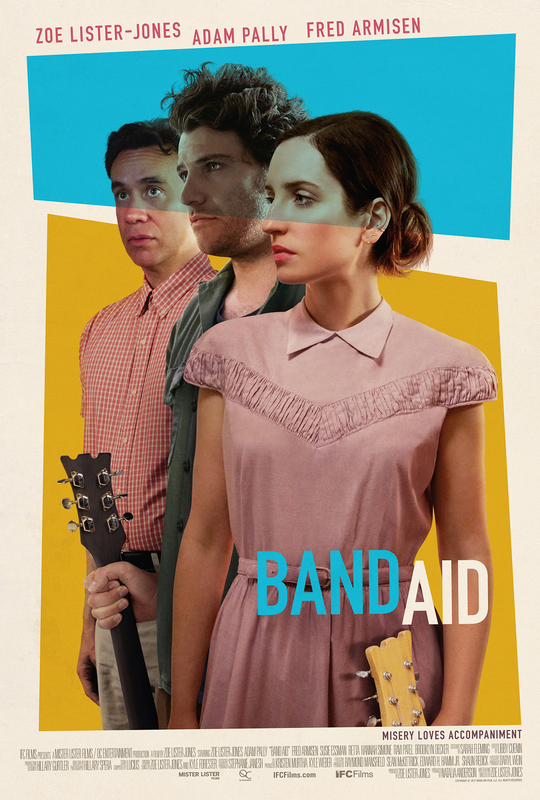 Directed, written, produced, and starred by Zoe Lister-Jones, Band Aid is not only a light-hearted dramedy on marriage’s intrinsic obstacles, but also a strong statement on women’s representation in cinema, considering the movie was made by an all-female crew. “I had been very aware — both being in front of the camera and behind it — of the under-representation of women on television and film crews, so I wanted to create opportunities for women, especially in departments where they’re very rarely given them,” said Lister-Jones during an interview with CBS News. Band Aid is Lister-Jones’ directorial debut, and she manages to create a fun chemistry between the two main characters. Eventually, the couple discovers – spoiler alert! — a Band-Aid is just a temporary solution, and love is nothing but constantly repairing, or healing, if you will. I was a fourteen-year-old awkward teenager watching Titanic when I first understood music’s effect on films. In the second-half of the movie, Jack (Leonardo DiCaprio) convinces Rose (Kate Winslet) to get into a lifeboat. As the boat goes down and Rose looks back to Jack, I remember feeling deeply sad, yet there was still no sign of tears rolling down my face. It was not until the music that I started crying, as if I were Rose herself leaving Jack behind. 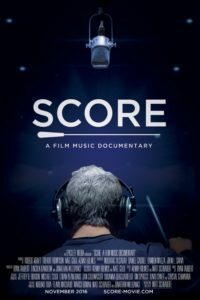 When James Horner’s music was brought to the drama, that scene truly became something else, something composers hope to achieve as we learn in Score: A Film Music Documentary, written and directed by Matt Schrader. Matt Schrader left his job at CBS in 2014 to work on a documentary about the power of music. “It was always interesting to me how something without any lyrics could have such a profound meaning on us,” Schrader said during an interview with the Hamptons International Film Festival. The profound meaning of music on film-making becomes apparent as the documentary takes the viewer on an adventure through the creative process of Hollywood’s greatest film score composers. From organs in silent movies, to Hans Zimmer transforming orchestral songs into Led Zeppelin, Score revisits remarkable moments in cinema which were the results of collaborations between the director and the composer. The story of film scores as told by Schrader turns into an ode to the works of many award-winning composers, such as Hans Zimmer (The Lion King, Gladiator, Interstellar), John Williams (Star Wars, Jaws, Schindler’s List), and James Horner (Titanic, Avatar, Braveheart). Emotions are still invoked when William’s “The Imperial March” from the Star Wars series begins playing. John Barry’s “James Bond Theme,” composed half-a-century ago, still has a huge influence on spy films. Hermman’s eeeh-eeeh-eeeh in Psycho still gives us goosebumps. Score speaks differently to every viewer. Moviegoers get a closer look at the creative process behind their favorite films. Music lovers can get inspired by the works of acclaimed musicians. Nostalgic viewers will leave the cinema with a smile on their face. One thing is right, viewers will likely search for composers on Spotify at the end of the film, so they can listen to scores on their way home to keep up the momentum.